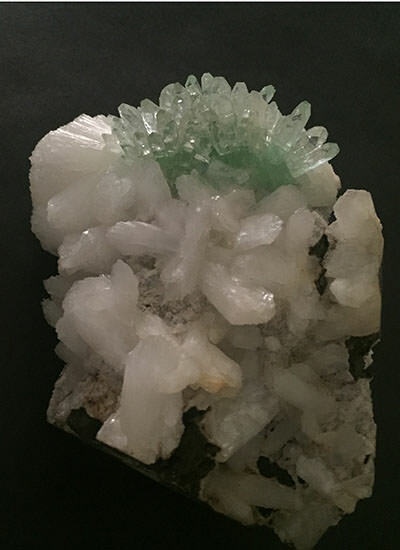 Transparent light green apophyllite flower on white shiny stilbite. Contains beautiful light green transparent pencils forming a flower. 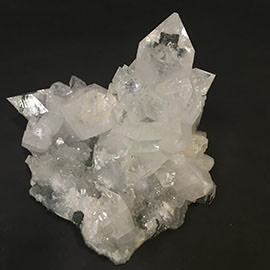 The stilbite is also one of the rare form, the whiteness of the stilbite intersecting each other is incomparable. It is a collectors piece to be kept in a museum. This unspoiled piece is from Jalgaon Mines in Maharashtra.